Printing party invitations saves time and money. 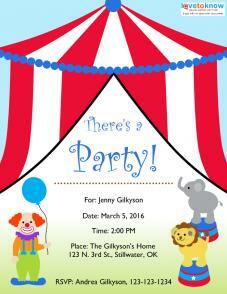 Use free party invitation templates to get party details to guests cheaply, quickly and colorfully. These templates save time and money, since all you need to do is download a template, print it out, and fill in your details. No running to the store required. A template is a simple way to get your invitations completed. Just fill in your information and they are ready to send. If you need help downloading the templates, check out these helpful tips. Party invitations are something that shouldn't cause the planner a lot of stress. The best way to get them done is to download some quick and easy templates. The templates below open as .pdfs and come in a variety of designs for any party. 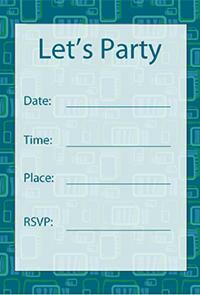 Fill the information in and print, or hand write your party details. 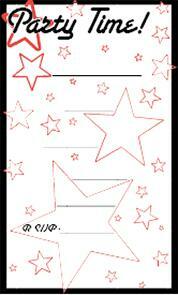 Word processing, publishing and office programs often include templates for cards, including invitations. Check to see what features are included with the programs already installed on your office or home computer. 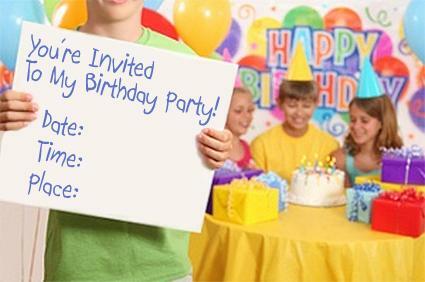 Hoover Web Design offers printable invitation templates for birthdays, holiday parties and themed parties. The .pdf files will open in Adobe Reader and produce quarter-fold cards with blanks for pertinent information. Invitationland.com has invitations for a variety of parties that can be somewhat customized to personal preferences and taste. Party hosts get to choose the text, font and colors along with the size of invitation. 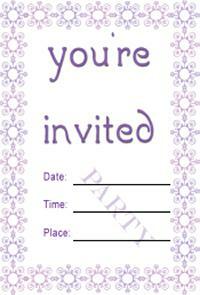 The invitations are free to make, but a paid membership is required for thank you notes and favor tags. Microsoft Office Online Party Templates has over 300 party invites currently available for use in a variety of birthday, holiday and other celebration themes. Check that you have the right software before you try to download the templates. A template offers plenty of advantages over sending out custom invitations or do-it-yourself invitations. 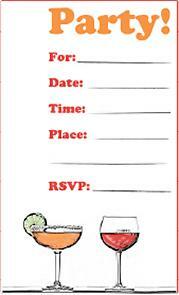 While formal parties, such as corporate cocktails and weddings, require a traditional invite, filling out a template is perfectly acceptable for more informal gatherings. 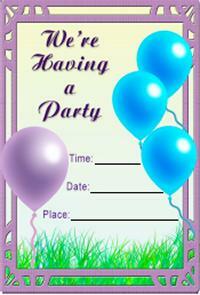 A free party invitation template is just that - free. The design and sending or printing of the product is free of fees from the creator. Though you may spend a few cents on ink and paper when making free printable invitations, it will not break the budget. Send out online invitations via email or website posting to make the only cost the personal time spent filling in the blanks. The amount of labor invested in creating handwritten calligraphy invites for a baby shower or child's birthday party is often wasted upon those who toss your work into the trash after marking the date on their calendar. Similarly, running from store to store or scouring online invitation and announcement websites wastes valuable moments that could be better spent on more important tasks. A template allows a person to fill it in and hit "send" (whether to the printer or online) and the job is done. While purchased fill-in-the-blank cards at big box retailers may be cheap, they are often lacking in originality. In fact, the selections are often similar from store to store. Templates that are created and posted online for free may be created by up-and-coming artists, reputable companies or hobbyists who are looking to share their talent. Although they are free, most invitation templates offer more than just a few lines for the date, place and event with one or two graphics. Modern graphics, innovative fonts and fresh invitation wording make the cards seem more like professionally created invites than free finds from the Internet. Creating a party invitation using a template is an affordable way to get the important information to those who need it. The invitation dilemma is solved by free templates when budget, time and appearance of the invite are all taken into account. Adding a few embellishments is the perfect finish to these easy cards.